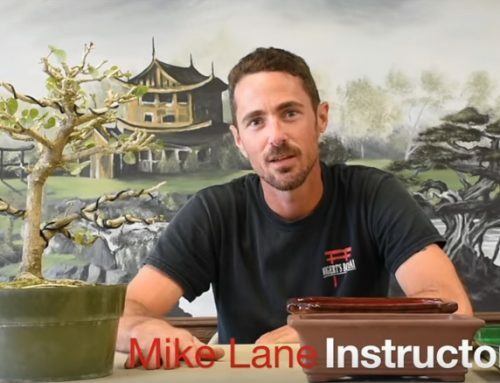 “I was invited to participate as a featured artist at the 2018 Lonestar Bonsai Federation’s annual state convention in Longview Texas sponsored by the Longview Bonsai Society. This marked the first out of state convention that I’ve been invited to teach at the experience was nothing short of amazing. I first flew into Atlanta where I was met by none other the Rodney Clemons, a well respected and talented artist based just outside Atlanta. From there we traveled together to Texas.We were greeted immediately by the Longview members Greg, Sharon, and Hunter, and they treated us with Texas sized hospitality the whole time. The next day I taught shohin workshops on Florida favorites the lavender star, and dwarf Barbados cherries purchased from Wigerts. A round robin Demonstration with, Rodney, Boon the convention headliner, and myself all working on different trees. They were kind enough to provide me with a very nice bougainvillea grown right in our Florida backyard. The following day started similarly, with a shohin workshop on Parrot’s Beak, followed by a bring your own tree workshop. That evening the three Artists, were asked to first judge, and later critique the exhibit. This is always a tenuous task as its very hard to have three creative minds agree on anything, however we eventually made our decisions and the award for best in show was given to an amazing American Elm grouping that had the subtlety and nuance that made it a true show stopper. The next day was mostly traveling but I was lucky enough to have some authentic Texas catfish on our way to the airport!